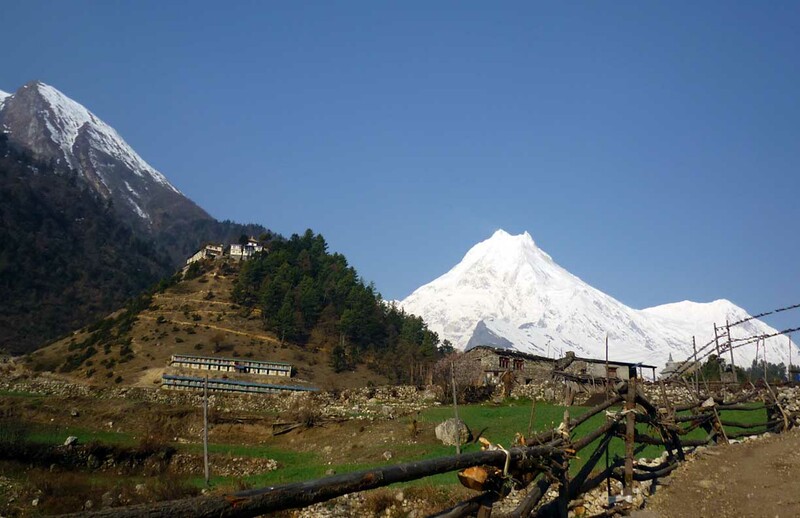 Trekking around Manaslu offers a unique opportunity to experience its untouched part of Nepal.Manaslu trekking is officially open in 1991, but mountaineering expeditions have had access to this region a team led by HW Tillman trek from Tonje to Bhimthang. Jeimmy Roberts cross the Larke la 5230m looking forward to climb interesting mountain 1950, whoever the JapaneseExpedition team climbed Manaslu by 1965.The around Manaslu trek starts from tropical of an historical place perched on a ridge high Gorkha in central Nepal and Manaslu Himal appears like a rugged arctic wall for to the north,trekking around Manaslu exhibits sensational mountain views, fascinating culture and has one of the most dramatic Himalayan high altitudes pass call larke la. The around Manaslu trekking is in region known as Nubri, an area of strong Tibetan influence with a trade between the Tibet is still active. At the end your Manasalu trek makes your dream of remote adventure in Nepal comes true.